On February 21, Rus Matichuk celebrated his victory over former city councillor Neil Korotash and government spokesperson Kathleen Range in the Progressive Conservative nomination contest in Spruce Grove-St. Albert. But yesterday, the PC Party announced that due to “errors” in the voting process a second vote will need to be held on March 14, 2015. “It has been found that 4 ballots were cast by individuals ineligible to vote. The riding has been directed by PC Alberta to have this vote redone as the votes for the candidates was very close,” PC nominations committee chairperson Carol Stewart told the St. Albert Leader. Calgary-Klein: Noel Keough, professor in the Faculty of Environmental Design at the University of Calgary, is running for the Green Party. Calgary-Mackay-Nose Hill: Ako Ufodike, PhD Management student in Accounting at the University of Calgary, is challenging MLA Neil Brown for the PC nomination. Calgary-Varsity: University of Calgary Students’ Union Vice-President Academic Hana Kadri has announced plans to seek the PC nomination. Also rumoured to be eyeing the PC nomination is Sam Shaw, former President of the Northern Alberta Institute of Technology in Edmonton and current vice-president of the right-wing Manning Centre. Dunvegan-Central Peace-Notley: Former Member of Parliament Albert Cooper, school principal Nigel McCarthy, Donnelly-area farmer Rhonda Clarke-Gauthier, and Edmonton-base lawyer Gordon Andreiuk have entered the PC nomination contest to replace retiring MLA Hector Goudreau. Mr. Cooper, who served as the PC MP for Peace River from 1980 to 1993, was previously seeking the federal Conservative nomination in the new Peace River-Westlock constituency, but has now switched his focus to provincial politics. Edmonton Beverly-Clareview: Articling law student Harman Kandola is seeking the PC nomination. Mr. Kandola is also the Executive Director of the Punjabi Sports Association Summer Soccer Camps. Edmonton-Castle Downs: Nicole Goehring was acclaimed as the New Democratic Party candidate in this northwest Edmonton constituency. Edmonton-Centre: Five-term Liberal MLA Laurie Blakeman has been acclaimed as her party’s candidate for the next election. Ms. Blakeman made headlines last fall for leading the debate in favour of allowing student-created Gay-Straight Alliances in Alberta schools. Edmonton-Manning: Second-term PC MLA Peter Sandhu is seeking his party’s nomination for re-election. Mr. Sandhu sat as an Independent MLA from May to December 2013 during an Ethics Commissioner investigation into potential conflicts of interest. Edmonton-Meadowlark: Former school trustee Debbie Cavaliere will face Dan Bildhauer in the Liberal Party’s March 3 nomination contest. Mr. Bildhauer is also seeking the federal Liberal nomination in Edmonton-West. Businessman Tom Choucair has joined the PC nomination contest. Mr. Choucair unsuccessfully sought the PC nomination in Edmonton-Riverview before the 2012 election. Edmonton-Mill Creek: Liberal organizer Harpreet Gill is seeking the Liberal nomination. Mr. Gill is the co-founder of the Asianvision news magazine and sits on the boards of the provincial and federal Liberal Parties in Alberta. Highwood: Wayne Anderson has been acclaimed as the Wildrose candidate in this constituency currently represented by former Wildrose leader Danielle Smith. 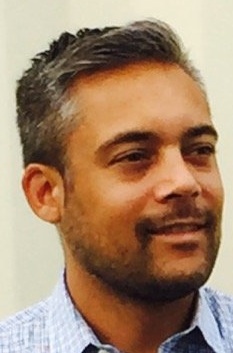 Mr. Anderson ran as his party’s candidate in Calgary-Hays in the 2012 election. Livingstone-Macleod: Former Evan Berger was acclaimed as the PC candidate. Mr. Berger faced criticism after he landed a plum job in the public service after he was defeated in the 2012 election. Lethbridge-East: William West defeated former Green candidate Helen McMenamin in this week’s Liberal nomination contest. Mr. West is a Peace Officer with Alberta’s Commercial Vehicle Enforcement. Peace River: Sherry Hilton, the manager at River City Cinema, has been nominated as the Alberta Party candidate. Red Deer North : City Councillor Buck Buchanan, former city councillor Jeff Dawson, former city council candidate Matt Chapin and Red Deer County councillor Christine Moore are seeking the PC nomination. Current PC MLA Mary Anne Jablonski is not seeking re-election. This entry was posted in Alberta Politics and tagged Ako Ufodike, Albert Cooper, Buck Buchanan, Calgary-Hays, Calgary-Klein, Calgary-Mackay-Nose Hill, Calgary-Varsity, Carol Stewart, Christine Moore, Dan Bildhauer, Danielle Smith, Debbie Cavaliere, Dunvegan-Central Peace-Notley, Edmonton-Beverly-Clareview, Edmonton-Castle Downs, Edmonton-Centre, Edmonton-Manning, Edmonton-Meadowlark, Edmonton-Mill Creek, Edmonton-Riverview, Edmonton-West, Gordon Andreiuk, Hana Kadri, Harman Kandola, Harpreet Gill, Hector Goudreau, Helen McMenamin, Highwood, Jeff Dawson, Kathleen Range, Laurie Blakeman, Lethbridge-East, Livingstone-Macleod, Manning Centre, Mary Anne Jablonski, Matt Chapin, Neil Brown, Neil Korotash, Nicole Goehring, Nigel McCarthy, Noel Keough, Peace River, Peace River-Westlock, Peter Sandu, Red Deer-North, Rhonda Clarke-Gauthier, Rus Matichuk, Sam Shaw, Sherry Hilton, Spruce Grove-St. Albert, Tom Choucair, Wayne Anderson, William West on February 26, 2015 by Dave Cournoyer. The Progressive Conservatives held their first “Super Saturday” on Feb. 21, 2015, during which contested nominations were held in seven constituencies. The handful of contested PC nominations have been overshadowed by the nearly forty acclamations by incumbent PC MLAs across the province. The Liberal Party, still without a permanent leader after Raj Sherman‘s abrupt resignation in Jan. 2015, has opened candidate nominations in all 87 constituencies and have made notice on their website that all Liberal nominations must be complete by March 1, 2015. If the Liberals are actually able to nominate candidates in all 87 constituencies in the next seven days, it will be a busy week on this blog. Bonnyville-Cold Lake: Cold Lake Mayor Craig Copeland defeated former Wildrose nomination candidate Dixie Dahlstedt in the PC nomination. Some local party members complained about the lack of multiple voting locations in the rural constituency and the police were called to the voting station after an allegedly intoxicated man caused a disturbance. A Municipal District of Bonnyville councillor told the Cold Lake Sun that alleged he was the man removed by the RCMP and he was not intoxicated. Current PC MLA Genia Leskiw is not seeking re-election. Calgary-Buffalo: Lawyer David Khan will seek the Liberal nomination in this downtown Calgary constituency. Buffalo is currently represented by Liberal MLA Kent Hehr, who is running for the federal Liberals in Calgary-Centre, and has elected Liberals in six of the eight elections held since 1986. Mr. Khan was his party’s candidate in the 2014 Calgary-West by-election where he earned 8.5% of the vote. Calgary-Bow: David Gamble is seeking the Liberal nomination. According to his Facebook Page, Mr. Gamble is the President and CEO of Dandly Writing and Communications. Calgary-Cross: Seven candidates are seeking the PC nomination in this northeast Calgary constituency – Dan Singh Sidhu, Mohamed El-Rafih, Jesse Minhas, Manjit Jaswal, Hardeep Rai, Hirde Paul, and Bill Kahlon. The constituency has been represented by PC MLA Yvonne Fritz since 1993. She is not seeking re-election. Calgary-Currie: Pat Murray is seeking the Liberal nomination. Mr. Murray was the Liberal Party candidate in Calary-Currie in the 2001 election and Calgary-North Hill in 2004 and 2008 elections. He also ran as a federal PC candidate in Calgary-Nose Hill in the 1997 federal election. Calgary-Fish Creek: Richard Gotfried defeated Myles McDougall to become the PC candidate. 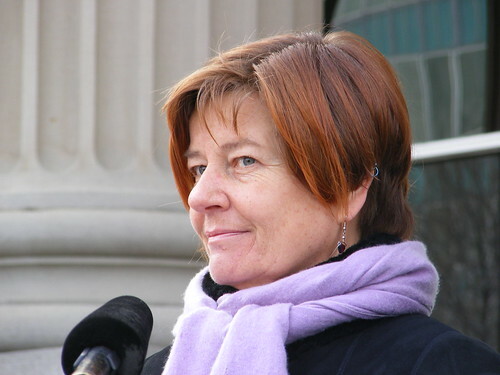 The constituency is currently represented by Wildrose MLA Heather Forsyth, who is not seeking re-election. Calgary-Foothills: Electrical engineer Ali Bin Zahid is seeking the Liberal nomination to run against Premier Jim Prentice in the next election. Calgary-Glenmore: David Waddington is the nominated Liberal Party candidate. Calgary-Hawkwood: Beth Barberee has been nominated as the Alberta Party candidate. Calgary-McCall: Realtor Avinash Khangura is seeking the Liberal nomination. 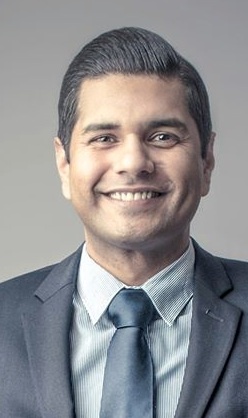 The constituency is currently represented by Liberal MLA Darshan Kang, who is now the federal Liberal candidate in the Calgary-Skyview constituency. Calgary-Mountain View: Former MLA Mark Hlady defeated Mr. Prentice’s former Chief of Staff Jean-Sebastien Rioux and Lynn Moen in the PC nomination. Mr. Hlady was the MLA from 1993 until 2004, when he was unseated by the current Liberal MLA, David Swann. Calgary-North West: First-term PC MLA and former cabinet minister Sandra Jansen defeated past city council candidate Blair Houston in the PC nomination. 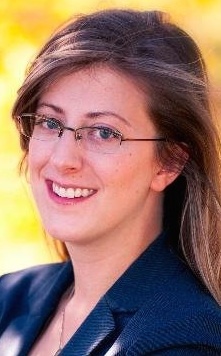 Calgary-Varsity: Stephanie McLean was nominated as the NDP candidate in this northwest Calgary constituency. Ms. McLean was the NDP candidate in the recent Calgary-Elbow by-election and is also her party’s federally nominated candidate in Calgary-Confederation. Paramedic Pete Helfrich is the nominated Liberal Party candidate. Mr. Helfrich ran for the Liberals in Banff-Cochrane in the 2012 election. Chestermere-Rockyview: Jamie Lall is challenging Wildrose-turned-PC MLA Bruce McAllister for the PC nomination. Mr. Lall was his party’s 2012 candidate in the Calgary-Buffalo constituency. Edmonton-Beverly-Clareview: First-term NDP MLA Deron Bilous has been acclaimed as his party’s candidate in the next election. Edmonton-Calder: Ministerial Chief of Staff Tom Bradley has been acclaimed as the PC candidate in this northeast Edmonton constituency current represented by NDP MLA David Eggen. Mr. Bradley is currently the Chief of Staff to Infrastructure Minister Manmeet Bhullar and also served as Base Commander for CFB Edmonton from 2009 to 2011 and Chief of Operations for Task Force Kandahar in Afghanistan from 2007 to 2008. Edmonton-Meadowlark: Steve Benson is challenging former Globe & Mail reporter Katherine O’Neill for the PC nomination. Former Catholic School District Trustee Debbie Cavaliere is said to been collecting signatures to contest the Liberal nomination. In 2008, Ms. Cavaliere challenged Raj Sherman in the Meadowlark PC nomination contest before withdrawing, switching parties and unsuccessfully running against him in that year’s election as the Liberal candidate. Dr. Sherman, who joined the Liberals in 2011 after becoming leader, is not seeking re-election. Edmonton-Rutherford: Businessman and Edmonton enthusiast Chris Labossiere will face management consultant Grant Mann for the PC nomination. Mr. Labossiere has earned the endorsements of City Councillor Michael Walters, public school trustee Michael Janz, former Premier Dave Hancock, Edmonton Economic Development Corp. CEO Brad Ferguson and Poppy Barley CEO Kendall Barber, among others. 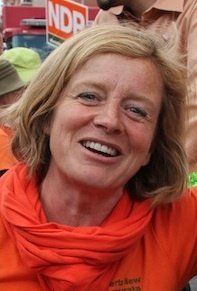 Edmonton-Strathcona: NDP leader Rachel Notley has been acclaimed as her party’s candidate in the next election. Former NDP MP Olivia Chow is scheduled to speak at Ms. Notley’s nomination meeting on March 1, 2015. Fort McMurray-Wood Buffalo: Tracy McKinnon, chairperson of the Fort McMurray Catholic School District, is challenging first-term PC MLA Mike Allen for that party’s nomination. Mr. Allen achieved national notoriety in 2013 when he was charged in a prostitution sting while on government-funded trip to Minneapolis, Minnesota. He pleaded guilty to the charge in December 2013 and paid a $500 fine and court costs. Following the incident, he sat as an Independent MLA until July 2014, when PC MLAs voted to allow him to rejoin the Government Caucus. Highwood: Wildrose leader-turned-PC MLA Danielle Smith will face Okotoks town councillor Carrie Fischer in the PC nomination contest. Joel Windsor is running for the Alberta Party. Medicine Hat: Wildrose-turned-PC MLA Blake Pedersen defeated former city councillor John Hamill and realtor Jeff Lanigan. Mr. Pedersen faced harsh criticism form his opponents in a recent nomination debate. “I will die on my sword before I cross the floor… people who cross the floor have no honour,” Mr. Hamill said of Mr. Pedersen. Dustin Nau and local radio personality Val Olson are running for Wildrose nomination in Medicine Hat. Mr. Nau was his party’s 2012 election candidate in Calgary-Foothills. Peace River: Debbie Jabbour is seeking the NDP nomination. Rimbey-Rocky Mountain House-Sundre: Tammy Cote defeated former Lacombe County Reeve Terry Engan in the PC nomination contest. Ms. Cote is the grand-niece of former PC MLA and lieutenant-governor Helen Hunley. Spruce Grove-St. Albert: Rus Matichuk defeated former St. Albert city councillor Neil Kortash and government spokesperson Kathleen Range to become the PC candidate. The constituency was formerly represented by former Finance Minister Doug Horner, who resigned as MLA on Jan. 31, 2015. Seven more PC MLAs have been acclaimed, bringing the total number of acclaimed PC candidates to 39: Moe Amery in Calgary-East, Dave Rodney in Calgary-Lougheed, David Dorward in Edmonton-Gold Bar, Steve Young in Edmonton-Riverview, Jacquie Fenske in Fort Saskatchewan-Vegreville, Greg Weadick in Lethbridge-West and Richard Starke in Vermilion-Lloydminster. This entry was posted in Alberta Politics and tagged Ali Bin Zahid, Avinash Khangura, Beth Barberee, Bill Kahlon, Blair Houston, Blake Pedersen, Bonnyville-Cold Lake, Brad Ferguson, Bruce McAllister, Calgary-Bow, Calgary-Cross, Calgary-Currie, Calgary-East, Calgary-Fish Creek, Calgary-Foothills, Calgary-Glenmore, Calgary-Hawkwood, Calgary-Lougheed, Calgary-Mountain View, Calgary-North Hill, Calgary-North West, Calgary-Nose Hill, Calgary-Skyview, Calgary-Varsity, Candidate nominations, Carrie Fischer, Chestermere-Rockyview, Chris Labossiere, Craig Copeland, Dan Singh Sidhu, Danielle Smith, Darshan Kang, Dave Hancock, Dave Rodney, David Dorward, David Gamble, David Khan, David Swann, David Waddington, Debbie Cavaliere, Debbie Jabbour, Deron Bilous, Dixie Dahlstedt, Doug Horner, Dustin Nau, Edmonton-Beverly-Clareview, Edmonton-Calder, Edmonton-Gold Bar, Edmonton-Meadowlark, Edmonton-Riverview, Edmonton-Rutherford, Edmonton-Strathcona, Fort McMurray-Wood Buffalo, Fort Saskatchewan-Vegreville, Genia Leskiw, Grant Mann, Greg Weadick, Hardeep Rai, Heather Forsyth, Helen Hunley, Highwood, Hirde Paul, Jacquie Fenske, Jean-Sebastien Rioux, Jeff Lanigan, Jesse Minhas, Joel Windsor, John Hamill, Katherine O'Neill, Kathleen Range, Kendall Barber, Kent Hehr, Lethbridge-West, Lynn Moen, Manjit Jaswal, Manmeet Bhullar, Mark Hlady, Medicine Hat, Michael Janz, Michael Walters, Mike Allen, Moe Amery, Mohamed El-Rafih, Myles McDougall, Neil Kortash, Olivia Chow, Pat Murray, Peace River, Pete Helfrich, Rachel Notley, Raj Sherman, Richard Gotfried, Richard Starke, Rimbey-Rocky Mountain House-Sundre, Rus Matichuk, Sandra Jansen, Spruce Grove-St. Albert, Stephanie McLean, Steve Benson, Steve Young, Tammy Cote, Terry Engan, Tom Bradley, Tracy McKinnon, Val Olson, Vermilion-Lloydminster, Yvonne Fritz on February 23, 2015 by Dave Cournoyer. what’s next for raj sherman and the alberta liberals? Newly elected Alberta Liberal leader Raj Sherman gives his victory speech with his wife Sharon standing to the right. Leadership co-chair Josipa Petrunic and candidates Laurie Blakeman, Hugh MacDonald, and Bruce Payne stand to the left (Bill Harvey did not join the other candidates on stage). What kind of leader will Raj Sherman be? Sherman – energetic, intelligent, charismatic – could prove to be a political white knight riding to the Liberals’ rescue. Or Sherman – inexperienced, mercurial, impetuous – could yet prove to be one of the horsemen of the apocalypse. Simply put, Dr. Sherman is a mixed-bag. (Don Braid, David Climenhaga, and Maurice Tougas have all penned opinions on what Dr. Sherman’s acendency to the leadership might mean for Alberta’s Official Opposition party). Former Tory MLA Dr. Sherman will walk into his new office as the Leader of the Official Opposition this week surrounded by an eight MLA Liberal caucus, which has had a tense relationship with its leaders since the 2008 general election. The caucus includes two of his leadership competitors (Edmonton-Centre MLA Laurie Blakeman and Edmonton-Gold Bar MLA Hugh MacDonald) and two of the party’s former leaders (Calgary-Mountain View MLA David Swann and Edmonton-Riverview MLA Kevin Taft). Of the group of eight, two (Dr. Taft and Calgary-Varsity MLA Harry Chase) are planning to retire at the next election. It is my experience that the Chief of Staff, Caucus Communications Director, Party President, and Party Executive Director are four key positions that a Liberal party leader needs support from in order to successfully command the leadership of the party. Two of these positions are about to be vacated. As noted in a recently Globe & Mail article, Erick Ambtman has resigned as President. 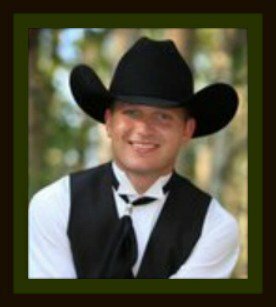 Corey Hogan, executive director since 2009, has announced his plans to move on to future challenges. Chief of Staff Rick Miller, a former MLA and nominated candidate in Edmonton-Rutherford, may want to focus his energies on his election campaign. In his short time in the job, Communications Director Brian Leadbetter has proven to be an effective communication manager in a position that has turned into a rotating door over the past few years. While only around a paltry 8,600 out of almost 27,000 eligible voters actually participated in the leadership vote, the party is still left with a vast list of almost 30,000 potential volunteers, sign locations, and voters to help them in the next provincial election. One of the areas that Mr. MacDonald and Mr. Payne stressed during the leadership campaign was the need for the Liberals to build their strength on the ground. Currently, the Liberals do not have functional organizations in most constituencies across the province, including in constituencies that they held up until the 2008 election. The lack of local organization and funds will pose a challenge in finding credible candidates to run in an expected fall 2011 or spring 2012 general election. A significant number of the party’s staunch loyalists supported Mr. MacDonald’s candidacy and his criticisms of the open voting leadership process. Many of these Liberals were furious at former leader Dr. Swann’s attempts to cooperate with other opposition parties in response to his party’s shrinking political fortunes. Dr. Sherman will need to mend fences with this sometimes unreasonable group of stalwarts while cementing his own activists into the party ranks. It will also be interesting to see if right-wing leadership candidate Bill Harvey remains in the Liberal Party (it is suspected that he may join the Wildrose Party). The two-time candidate, who was supported by right-wing agitator Craig Chandler, earned 7% of the vote in this contest. Of interesting note, party Vice-President (Policy) Debbie Cavaliere challenged Dr. Sherman for the PC nomination in 2007 and later ran as the Liberal candidate against him in the 2008 general election. The Progressive Conservatives will be voting for the first ballot in their leadership contest on September 17. If no candidate receives more than 50% of the vote, then a second ballot with the top three candidates will be held on October 1. The victor of that leadership contest will determine the tone and calendar of the next provincial election, which many political watchers are expecting to be held later this fall or early next spring. Since 2010, the Wildrose Party led by Danielle Smith have moved into second place in the polls, with the NDP led by Brian Mason are competing with the Liberals for third place. The question is whether Dr. Sherman’s star power can write the Liberals back into the political narrative they have been largely absent from over the past two years. There is also the question of what effect Dr. Sherman’s victory will have on the new Alberta Party, which continues to organize, but has dropped to a lower-profile since Hinton Mayor Glenn Taylor was chosen as its leader earlier this year. This entry was posted in Alberta Politics and tagged Bill Harvey, Brian Leadbetter, Brian Mason, Corey Hogan, Craig Chandler, Danielle Smith, David Climenhaga, David Swann, Debbie Cavaliere, Don Braid, Erick Ambtman, Glenn Taylor, Graham Thomson, Hugh MacDonald, Josipa Petrunic, Kevin Taft, Laurie Blakeman, Maurice Tougas, Raj Sherman, Rick Miller on September 12, 2011 by Dave Cournoyer. 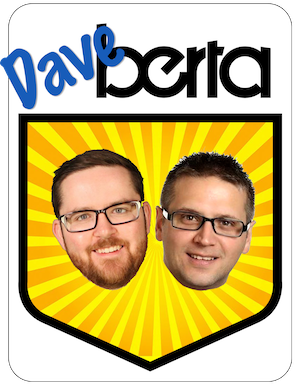 updated: alberta candidate nomination updates – june 2011. Athabasca-Sturgeon-Redwater: Travis Olson was nominated as the Wildrose candidate on June 3, defeating Smoky Lake County Councillor Lori Danyluk, Thorhild social worker Lauri Genert and Sturgeon County Mayor Don Rigney in a mail-in ballot nomination contest. 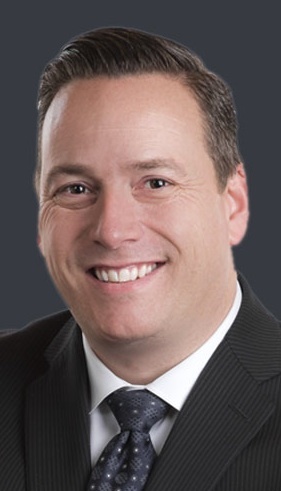 Athabasca-Redwater PC MLA Jeff Johnson has been nominated as his party’s candidate. Calgary-Bow: Tim Dyck and John Hilton-O’Brien are vying for the Wildrose Alliance nomination. Mr. Hilton-O’Brien was the Alberta Alliance candidate in Grande Prairie-Wapiti in the 2004 election. PC MLA Alana DeLong has been nominated as her party’s candidate. 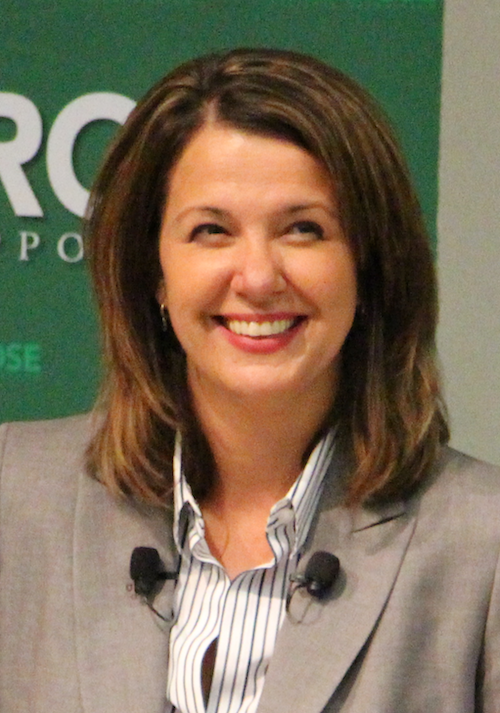 Calgary-Currie: Carrie Adolph was nominated as the Wildrose Alliance candidate defeating Sonja Chycoski. Ms. Adolph will face Alberta Party MLA Dave Taylor, who has represented this constituency since 2004. Calgary Fort: The Wildrose Alliance is now without a candidate after Bob McInnis withdrew his candidacy for personal and professional reasons. Calgary-Hays: Former Wildrose Alliance nomination candidate Wendi Moore appears to have withdrawn from the contest and is now supporting real estate agent Gene Sarmaga, who is facing Libertarian Party of Canada leader Dennis Young. Former separatist leader Cory Morgan is a Wildrose Alliance nomination candidate in Calgary-Klein. Calgary-Klein: Recent Aldermanic candidate Jeremy Nixon and former Alberta separatist leader Cory Morgan are seeking the Wildrose Alliance nomination scheduled for June 29. This will be Mr. Morgan’s fourth attempt at provincial elected office, having run as a candidate for the Alberta Independence Party in Banff-Cochrane in 2001, the Separation Party of Alberta in Highwood in 2004, and the Wildrose Alliance in Calgary-Mountain View in 2008. Calgary-Mackay-Nose Hill: The host of the popular CHQR radio show Calgary Today Mike Blanchard and Roy Alexander are seeking the Wildrose Alliance nomination in this constituency at a June 13 meeting. Calgary-Northern Hills: Prasad Panda was nominated as the Wildrose Alliance candidate on May 27, 2011. Mr. Panda replaces previously nominated candidate Harpreet Nijjar, who withdrew from the nomination earlier this year. Calgary-Mackay PC MLA Teresa Woo-Paw has been nominated as her party’s candidate. Cardston-Taber-Warner: This constituency was represented by now-Calgary-Glenmore Wildrose MLA Paul Hinman from 2004 until 2008. Dave Wright and Stirling businessman Doug Cooper are seeking that party’s nomination. Chestermere-Rockyview: It would appear that Chestermere Town Councillor Heather Davies defeated Said Abdulbaki to become the Wildrose Alliance candidate in that constituency. Edmonton-Centre: Four-term Liberal MLA Laurie Blakeman was acclaimed as her party’s candidate on May 15. The Wildrose Alliance has nominated Barb de Groot, the Executive Director/Registrar of the College of Alberta Professional Forest Technologists. Edmonton-Decore: The Wildrose Alliance has nominated lawyer Chris Bataluk as their candidate. Edmonton-Glenora: Former Alberta Party acting-leader Sue Huff is expected to be acclaimed as her party’s candidate in this constituency. PC MLA Heather Klimchuk has been nominated as her party’s candidate. Catholic School Trustee Cindy Olsen is considering a run for NDP in Edmonton-Manning, according to unnamed source. Edmonton-Manning: According to an unnamed source, Edmonton Catholic School District Trustee Cindy Olsen is strongly considering seeking the NDP nomination in this constituency, which is one of five in the province where the NDP candidate placed second in 2008. (UPDATE: Ms. Olsen announced this morning that she will seek the NDP nomination in Edmonton-Manning. See media release and confirmation from Edmonton-Strathcona NDP MLA Rachel Notley in the comments below) Already seeking the nomination is Mike Scott, who was the Edmonton-Sherwood Park NDP candidate in the recent federal election (and is also formerly known as Mike Koala on 100.3 FM The Bear). The NDP has scheduled their nomination meeting for June 27. Edmonton-Whitemud: Rick Newcombe and Ian Crawford are seeking the Wildrose Alliance nomination. Although this will be Mr. Crawford’s first time seeking a Wildrose nomination, he has run unsuccessfully for City Council numerous times since 1992, for the Reform Party nomination in Edmonton-Strathcona in 1993, for the PC nominations in Edmonton-Rutherford and Edmonton-Ellerslie in 1993, for the Canadian Alliance in Edmonton-Southeast nomination in 2000, and for the PC nomination in Edmonton-Meadowlark in 2007 against Raj Sherman and Debbie Cavaliere. PC MLA Dave Hancock has been nominated as his party’s candidate. Innisfail-Sylvan Lake: Developer Rod English and real estate broker Kerry Towle are seeking the Wildrose Alliance nomination, which is scheduled to happen on June 16. Olds-Didsbury-Three Hills: Village of Beiseker Mayor Bruce Rowe was acclaimed as the Wildrose Alliance candidate. Rocky Mountain House-Sundre: The Rimbey Review is reporting that Rocky Mountain House Town Councillor Sheila Mizera and Rimbey Town Councillor Joe Anglin are seeking the Wildrose Alliance nomination. Mr. Anglin is well-known as a vocal advocate for landowners rights and earned 23% of the vote as the 2008 Green Party candidate in Lacombe-Ponoka. He served briefly as the Leader of the Alberta Green Party until it was dissolved in 2009. Whitecourt-Ste. Anne: Whitecourt Town Councillor Maryann Chichak was announced as her party’s candidate on May 20. 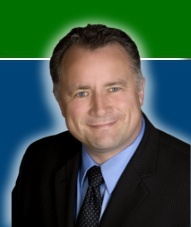 PC MLA George VanderBurg has been nominated as his party’s candidate. Am I missing anyone? Post a comment below or send me an email at david.cournoyer@gmail.com. This entry was posted in Alberta Politics and tagged Alana DeLong, Bob McInnis, Bruce Rowe, Carrie Adolph, Chris Bataluk, Cindy Olsen, Cory Morgan, Dave Taylor, Dave Wright, Debbie Cavaliere, Dennis Young, Don Rigney, Doug Cooper, Gene Sarmaga, Harpreet Nijjar, Heather Davis, Heather Klimchuk, Ian Crawford, Jeff Johnson, Jeremy Nixon, Joe Anglin, John Hinton-O'Brien, Kerry Towle, Lauri Genert, Laurie Blakeman, Lori Danyluk, Mike Blanchard, Mike Koala, Mike Scott, Prasad Panda, Rachel Notley, Raj Sherman, Rick Newcombe, Rod English, Roy Alexander, Sheila Mizera, Sonja Chycoski, Sue Huff, Teresa Woo-Paw, Tim Dyck, Travis Olson, Wendi Moore on June 9, 2011 by Dave Cournoyer. What a change three years can make. On March 3, 2008, Premier Ed Stelmach led the PCs to a massive majority, winning 72 of 83 seats in the Assembly. The sweep saw the Kevin Taft led Liberals halved from 16 MLAs to 9 MLAs and that party’s stronghold in Edmonton wither to three seats, Brian Mason‘s NDP were reduced from 4 to 2 MLAs, and the Wildrose Alliance‘s leader and only MLA Paul Hinman was defeated in Cardston-Taber-Warner (he would later be elected in the 2009 Calgary-Glenmore by-election). The election also marked the lowest voter-turnout in Alberta’s history as almost 60% of Albertans did not exercise the vote. A staffer in Calgary-Southeast Conservative MP and Minister of Immigration Jason Kenney‘s office in Ottawa has resigned after being caught using ministerial letterhead to solicit donations for the Conservative Party. The letter was discovered when it was accidentally delivered to Edmonton-Strathcona NDP MP Linda Duncan‘s Ottawa office. Unfortunately for Ms. Duncan, her office does not have much moral authority on this issue. In February 2010, a conservative blogger discovered that Ms. Duncan’s Constituency Assistant and Campaign Manager Erica Bullwinkle had used her Parliamentary email account for campaign purposes. Former Finance Minister Lyle Oberg is not the only former Tory member to join the Wildrose Alliance. Perennial Edmonton PC nomination candidate Ian Crawford has also signed up for a Wildrose membership. Mr. Crawford, who last ran unsuccessfully for the PC nomination in Edmonton-Meadowlark against Raj Sherman and (now-Liberal Party executive) Debbie Cavaliere in 2007, is the son of former PC cabinet minister Neil Crawford. The Liberals are without a long-term leader, but that has not stopped them from focusing on health care – an issue I believe could be their ticket back to relevance before the next election, especially while the Wildrose continues to push for increased privatization inside the health care system. 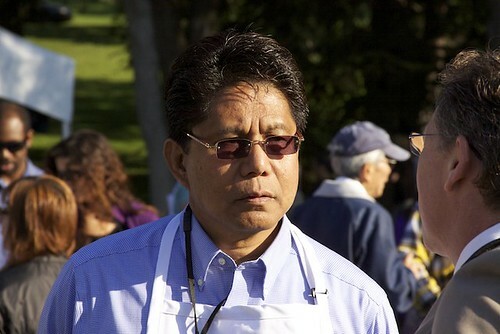 Alberta’s representative in Washington DC, former cabinet minister Gary Mar, has been expected to announce his entry into the PC leadership contest for the past few weeks. Mr. Mar’s website domain name was registered by a supporter in January and he recently popped up on Facebook with a brand new profile page (I have sent in a friend request). Gary Mar has joined Facebook (and Ted Morton ads). AHS Chair joining PC contest? Alberta Health Services Chairman Ken Hughes‘ name has been bandied around as a potential candidate for the PC leadership contest. The former PC MP and insurance industry executive has reportedly been testing the waters through phone polls over the past few weeks. Raj Sherman, serious allegations, wants immunity. Lethbridge-East MLA Bridget Pastoor replaced Edmonton-Centre MLA Laurie Blakeman as Deputy Leader of the Official Opposition this week. Ms. Blakeman, who is seeking the Liberal leadership, will continue in her other critic roles. I have updated the list of nominated and declared election candidates to include two PC MLAs who were nominated this week, PC leadership candidate and former Justice Minister Allison Redford was chosen as her party’s candidate in Calgary-Elbow at a nomination meeting this week. 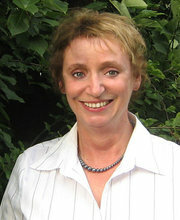 Ms. Redford was first elected in 2008, unseating Liberal MLA Craig Cheffins in a close-fought campaign. Elbow was represented by Ralph Klein from 1989 until his resignation in 2007, when Mr. Cheffins was elected in a by-election. Red Deer-South PC MLA Cal Dallas won his party’s nomination in the constituency he was first elected to represent in 2008. Read more in the Alberta Politics Notes archive. This entry was posted in Alberta Politics and tagged Allison Redford, Brian Mason, Bridget Pastoor, Cal Dallas, Craig Cheffins, Debbie Cavaliere, Ed Stelmach, Erica Bullwinkle, Gary Mar, Hugh MacDonald, Ian Crawford, Janet Brown, Jason Kenney, Ken Hughes, Kevin Taft, Laurie Blakeman, Linda Duncan, Lyle Oberg, Mo Elsalhy, Neil Crawford, Paul Hinman, Raj Sherman, Ralph Klein on March 4, 2011 by Dave Cournoyer. After 32-years writing for the Calgary Herald, Don Martin wrote his final column last week titled “ My last words on Alberta politics.” Mr. Martin will soon take over as the host of CTV’s Ottawa-based Power Play. The City of Edmonton approved their 2011 budget with a 3.85% tax increase. Read Councillor Don Iveson‘s blog post on the budget debates and results. The City of Calgary also recently passed their 2011 budget with a 5% tax increase. The Alberta Urban Municipalities Association held their annual general meeting at the end of November where they debated and adopted a series of new policies. Conference delegates also acclaimed Village of Breton Councillor Darren Aldous as their President for a second-term. 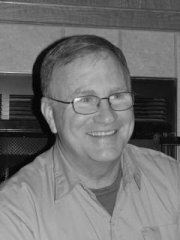 The sudden death of Alderman-elect Bob Babki in October has triggered a by-election for Lethbridge City Council scheduled for February 1, 2011. Jeff Coffman, Kevin Layton, George McCrea, Wade Galloway are standing in the by-election. Allen Oberg of Forrestburg, Alberta, Stewart Wells of Swift Current, Saskatchewan, Kyle Korneychuk of Pelly, Saskatchewan, John Sandborn of Benito, Manitoba, and Henry Vos of Fairview, Alberta were elected or re-elected to the Canadian Wheat Board. All Board Members with the exception of Mr. Vos are supporters of a single desk seller. Just over 41 per cent of the eligible 28,481 eligible farmers returned their mail-in ballots. The Alberta Party has released a series of guidelines for MLAs and a process for sitting MLAs who want to join that party, which has generated some interesting debate on Facebook. The Edmonton Journal’s Sheila Pratt has wrote about a recent chat with the Alberta Party’s Acting-Leader Sue Huff, as did Angela Brunschot in SEE Magazine. The Alberta Liberals elected a new President at their recent annual general meeting. Erick Ambtman was acclaimed to the position as were VP Policy Debbie Cavaliere and Secretary Nancy Cavanaugh. Two other board positions appear to be vacant as VP Communications Jody MacPherson resigned for personal reasons at the AGM and the VP Fundraising position is listed as vacant on the party website. Alberta’s representative in Washington DC Gary Mar helped stop a piece of global warming legislation in the State of Maryland in 2009. According to The Tyee, Mr. Mar travelled to Maryland to speak against the Oil Sands Responsibility Act introduced by Representative Roger Manno. The Bill would have prohibited State agencies from purchasing high-carbon fuel, including fuel derived from Alberta’s oil sands. Ted Morton running against Danielle Smith? Probably not, but that has not stopped the speculation that the PCs would take advantage of changes in the electoral boundaries to put their top fiscal mallard Ted Morton on the ballot against Wildrose Alliance leader Danielle Smith. The elusive Social Credit Party held its annual general meeting on November 20, 2010 in in Innisfail where its members reaffirmed the leadership of Len Skowronski and heard what I am sure was a fascinating a speech from Paul Kennett, President and CEO of the Alberta Credit Union Deposit Corporation. The party also elected a new board of directors, consisting of President Gordon Barrett, Vice-Presidents Helge Nome and Garnet Medicraft, Area Directors Myrna Kissick, Gordon Musgrove, Tom Stad, Raj Sinha, Charles Relland, and Bob Whyte. Both Mr. Relland and Mr. Whyte are former members of the Alberta Party, which they both left after the party’s renewal attracted in an influx of new members over the past year. Liberal leader David Swann and Wildrose Alliance leader Ms. Smith are predicting an election in early 2011. Although I have heard similar rumours as they have, I still believe that as long as Premier Ed Stelmach is the leader of his party the next election will be in March 2012, as he has consistently said. This entry was posted in Alberta Politics and tagged Allen Oberg, Angela Brunschot, Bob Babki, Bob Whyte, Charles Relland, Danielle Smith, Darren Aldous, David Swann, Debbie Cavaliere, Don Iveson, Don Martin, Erick Ambtman, Garnet Medicraft, Gary Mar, George McCrea, Gordon Barrett, Gordon Musgrove, Helge Nome, Henry Vos, Jeff Coffman, Jody MacPherson, John Sandborn, Kevin Layton, Kyle Korneychuk, Len Skowronski, Myrna Kissick, Nancy Cavanaugh, Paul Kennett, Raj Sinha, Roger Manno, Sheila Pratt, Stewart Wells, Sue Huff, Tom Stad, Wade Galloway on December 12, 2010 by Dave Cournoyer. After a week-long break, MLAs returned to the Assembly for a week that started with three-sided tailing ponds and ended with an emergency debate on health care. Edmonton-Meadowlark MLA Raj Sherman at 2010 Premier's Pancake Breakfast. Edmonton-Meadowlark PC MLA and parliamentary assistant for Health & Wellness Raj Sherman got the attention he was looking for when he wrote a blunt email to the Premier, and several MLAs, cabinet ministers, and medical colleagues. The letter continued a month long media firestorm on the state of emergency room wait times in Alberta. As Question Period ended yesterday, Edmonton-Centre MLA Laurie Blakeman succeeded in her bid to hold an emergency debate, which lasted for just over an hour and showcased some of the most passionate debate I have seen in the Assembly this year. This was the second attempt by the opposition during this session to initiate an emergency debate on this topic. A motion to extend the debate during the afternoon was defeated when a number of PC MLAs who did not want to extend their four day week on the Assembly floor (Ron Liepert, Jeff Johnson, and Barry McFarland as tweeted by Liberal caucus Chief of Staff Rick Miller). UPDATE: Mr. Miller has commented below that his tweet was naming the three PC MLAs for not standing in support of the initial vote to have an emergency debate, not to vote against extending the debate past 4:30pm. MLA Laurie Blakeman initiated the emergency debate. For Dr. Sherman, the big question is what does his political future hold? After embarrassing the Premier and his caucus on this sensitive file, it is questionable how much longer his colleagues will tolerate an independence streak. With three former PC MLAs having crossed to the Wildrose Alliance in the past year, the Tories need to balance maintaining caucus unity without being too disciplinary with their more independent-minded MLAs. This is a balancing act that has proved difficult in the 68 MLA PC caucus. The AAMDC Annual Conference was held this weekend and Bob Barss was elected as their new President. Mr. Barss is the Reeve for the Municipal District of Wainwright No. 61. He was first elected in to Council in 1995 and became Reeve in 1997. Mr. Barss replaces Municipal District of Taber Reeve Don Johnson, who has served in the position since 2004. The conference included speeches from provincial cabinet ministers Hector Goudreau, Rob Renner, Ray Danyluk, Heather Klimchuk, Jack Hayden, Luke Ouellette, and Premier Ed Stelmach. The Liberal Party is holding its annual general meeting on November 27 and will elect three of its executive committee members, President, Vice-President (Policy), and Secretary. Edmonton Regional Director Erick Ambtman has declared his intentions to run for President. Current President, Debbie Cavaliere, was appointed on an interim basis after former President Tony Sansotta resigned in July. Ms. Cavaliere will be seeking election as VP (Policy) and current Secretary Nancy Cavanaugh will be seeking re-election for her position. Richard Liebrecht started his new job as the Communications Director for the NDP Caucus this week. Mr. Liebrecht is a former reporter for the Edmonton Sun and editor at the Hinton Parklander. Mr. Liebrecht replaces another former Sun reporter Brookes Merritt, who recently left the NDP Caucus for a job at the Public Affairs Bureau. The former Libertarian leader wants to carry the Wildrose flag in Calgary-Hays. 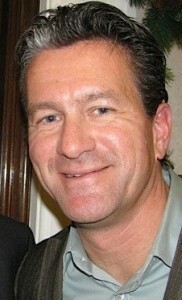 Dennis Young is seeking the Wildrose Alliance nomination in Calgary-Hays. 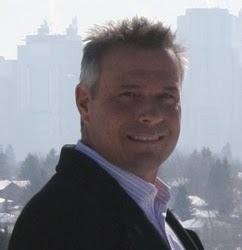 The former leader of the Libertarian Party of Canada, Mr. Young earned 265 votes in his 2008 campaign in Calgary-Southwest, which was won by Prime Minister Stephen Harper (Note: Mr. Young is still listed as leader on the Libertarian Party website, but lists himself as the former leader on his campaign website). View the updated list of declared and nominated provincial election candidates. Alberta has a new distracted driving law that will prohibit the use of hand-held cell phones while driving. If you missed the coverage of last weekend’s Alberta Party policy conference, there is no shortage of online news stories and blog posts. Here is a run-down from media and participants of the policy convention and recent Big Listens. This entry was posted in Alberta Politics and tagged Barry McFarland, Bob Barss, Brookes Merritt, Chris Labossiere, Dave Berry, David King, Debbie Cavaliere, Dennis Young, Don Johnson, Duncan Kinney, Ed Stelmach, Edwin Erickson, Erick Ambtman, Gerard McLellan, Heather Klimchuk, Hector Goudreau, Jack Hayden, Jeff Johnson, Jeremy Barretto, Ken Chapman, Laurie Blakeman, Luke Ouellette, Mack Male, Max Fawcett, Nancy Cavanaugh, Raj Sherman, Ray Danyluk, Richard Liebrecht, Rick Miller, Rob Renner, Ron Liepert, Samantha Power, Stephen Harper, Todd Babiak, Tony Sansotta on November 19, 2010 by Dave Cournoyer. Edmonton-Mill Woods MLA Carl Benito at the Premier's Capital Ex Pancake Breakfast on July 27, 2010. On Monday night, Benito repeated his promise to donate his MLA salary (about $75,000) to a scholarship program. The idea was created to sway young people into more positive areas and away from youth-related crime, he said. Since he was first elected in 2008, Mr. Benito has championed the noble causes of establishing Alberta’s Official Mushroom and trying to bring the Miss Universe Pageant to Alberta. He also described his constituents as “simple people” during a Legislative Committee meeting. – The Government of Alberta has launched another advertising campaign promoting the oilsands as Greenpeace ninjas grab international attention by hanging a banner off the Calgary Tower. – Two former Liberal MLAs have announced their intentions to stand in the next provincial election. Rick Miller will stand in Edmonton-Rutherford and Weslyn Mather will seek to reclaim her former riding of Edmonton-Mill Woods against the previously mentioned PC MLA Carl Benito. – Party Vice-President Debbie Cavaliere has been chosen as the interim President of the Liberal Party, filling the vacancy left by Tony Sansotta. Ms. Cavaliere is a former Trustee with the Edmonton Catholic School District and was the Liberal candidate in Edmonton-Meadowlark during the 2008 election. Ms. Cavaliere joined the Liberals after being defeated by Dr. Raj Sherman in that constituency’s PC candidate nomination. – The Wildrose Alliance has officially opened up candidate nominations in thirteen constituencies across Alberta. – Two time candidate Michael Cormican is seeking the Federal Liberal nomination in Lethbridge. 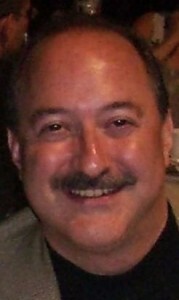 Mr. Cormican placed third with 9.3% of the vote in the 2008 election. The Conservatives have nominated Jim Hillyer and NDP Mark Sandilands. – Edmonton City Councillor Ben Henderson will launch his re-election campaign in Ward 8 on August 9 at the Forest Heights-Terrace Community Hall at 5:30pm. Councillor Henderson was first elected in 2007 and is married to Edmonton-Centre MLA Laurie Blakeman. – Don Koziak, son of former PC cabinet minister Julian Koziak, kicked off his campaign for Mayor of Edmonton by laying out a bizarre anti-LRT platform. Mr. Koziak ran unsuccessfully against Mayor Stephen Mandel in 2007 and has made three unsuccessful bids for City Council (1995, 1998, and 2004). He was briefly nominated as the PC candidate in Edmonton-Calder in 2001 before resigning for personal reasons. This entry was posted in Alberta Politics and tagged Ben Henderson, Carl Benito, Debbie Cavaliere, Don Koziak, Jim Hillyer, Julian Koziak, Laurie Blakeman, Mark Sandilands, Michael Cormican, Raj Sherman, Rick Miller, Stephen Mandel, Tony Sansotta, Weslyn Mather on August 6, 2010 by Dave Cournoyer.